“I applaud Speaker Heastie for his decision to appoint Assemblymember Crystal Peoples-Stokes as majority leader of the New York State Assembly. Assemblymember Peoples-Stokes has been a trailblazer her entire career in public service and will be a strong voice for working families across the state. “Women make up 51% of New York State’s population, yet only recently have our voices been raised in Albany. Assemblymember Peoples-Stokes will join Senate Majority Leader-elect Stewart Cousins, Lt. Governor Kathy Hochul, and Attorney General-elect Tish James as women who have risen to leadership in Albany, marking a historic time for New York State government. 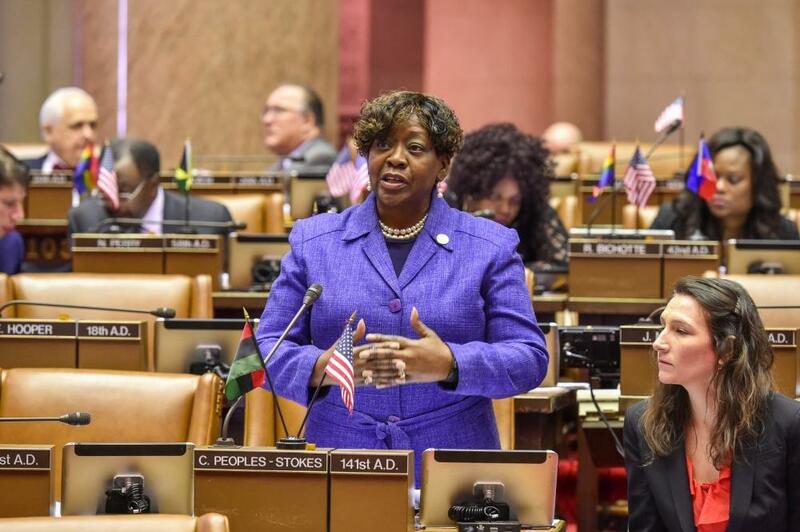 “Assemblymember Peoples-Stokes has been a fierce advocate for the Western New York region for decades, and she has been a role model for women and communities of color. A true leader within our community, I have full confidence in her ability to lead the Assembly Majority, and she will ensure that the voices of Western New Yorkers — and every New Yorker — are heard.